Fazeli-nasab, B., Fooladvand, Z. (2014). Classification and Evaluation of Medicinal Plant and Medicinal Properties of Mastic. International Journal of Advanced Biological and Biomedical Research, 2(6), 2155-2161. Bahman Fazeli-nasab; Ziba Fooladvand. "Classification and Evaluation of Medicinal Plant and Medicinal Properties of Mastic". 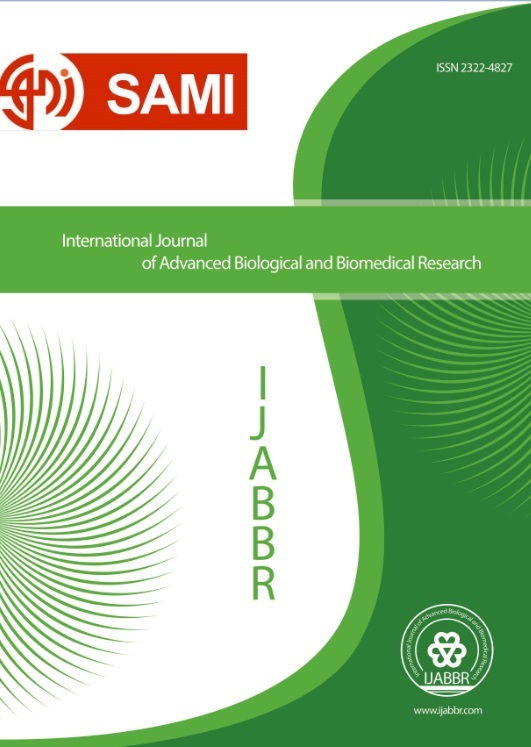 International Journal of Advanced Biological and Biomedical Research, 2, 6, 2014, 2155-2161. Fazeli-nasab, B., Fooladvand, Z. (2014). 'Classification and Evaluation of Medicinal Plant and Medicinal Properties of Mastic', International Journal of Advanced Biological and Biomedical Research, 2(6), pp. 2155-2161. Fazeli-nasab, B., Fooladvand, Z. Classification and Evaluation of Medicinal Plant and Medicinal Properties of Mastic. International Journal of Advanced Biological and Biomedical Research, 2014; 2(6): 2155-2161. Mastic (Chatlanqosh or turpentine) is a valuable tree species in most parts of the country, particularly around the southern slopes of the Alborz and Zagros mountain range distributed. Wild Mastic tree is mainly due to the adaptability and hard rocky ground tree and needless to excessive irrigation, it doesn't usually crop. It is the mountain range of the plant, giving it less water. The soil around the tree is bitter (toxic), and to solve this problem, the plant always grows along with it (or the gardens grow), to eliminate the bitter soil. These economical production of resin (turpentine) and its use in the production of pharmaceuticals and health care, nutrition and forage production in fruit and foliage, In addition to its role in protecting the environment and preventing soil erosion, climate stylized regional groundwater supply and Important wildlife habitats as shelter and home to its high resistance and tolerance to drought and other unfavorable environmental conditions is of value and importance. A prerequisite for any improvement in the knowledge of such a comprehensive report of the status of forest genetic diversity of plant populations is this research is the result of a comprehensive study of botany, taxonomy, distribution and status of its medicinal properties and may help to breeders in order to have enough information on how to select the plant.